Winter can bring freezing temperatures and with that frozen pipes. A frozen pipe will not only restrict the flow of water to your property, but also cause potential costly damage to your home when pipes burst. Attaching a heating cable to the exterior of the pipe will keep it from freezing. Also known as heat tracing cable or heat tape, this small, flexible cable can be wrapped around the pipe and will maintain the temperature of the pipe, keeping water flowing. WarmlyYours line of PRO-Tect Pipe Freeze Protection Heating Cables are the ideal solution to protect pipes from freezing. These heating cables are self regulating, meaning the heating cable will increase or decrease its power output (Wattage per linear ft) in response to how cold or warm each section of the pipe is. Their flexible construction means they can overlapped or criss-crossed without fear of overheating or failure. The cable is sold by the foot and is intended to be cut to the desired length by the installer. Available in 120/240 VAC (240V cable may also be used at 208V or 277V). WarmlyYours offers the AIR-STAT thermostat for use with our PRO-Tect Pipe Freeze Protection System. Combining your heating cable with a thermostat can decrease energy consumption by controlling when the system is switched on and off, typically when it detects the temperature drops below 40F. Why Install Pipe Freeze Protection? Prevents pipes from bursting which can lead to expensive repairs and damage to property. 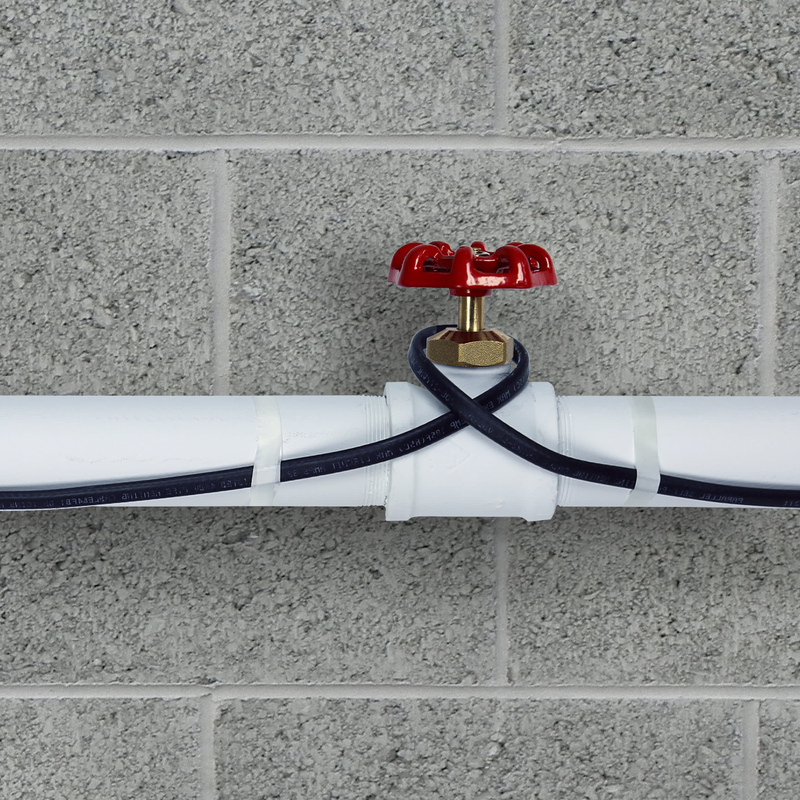 Regulates pipe temperature, allowing water to flow through and into your property. No need to remove pipes, just install the heating cable onto existing pipes in place. Enjoy maximum control of your system with our pipe freeze protection controls. WarmlyYours PRO-Tect Pipe Freeze Protection Systems come with a 3-year warranty against defects in workmanship and materials.